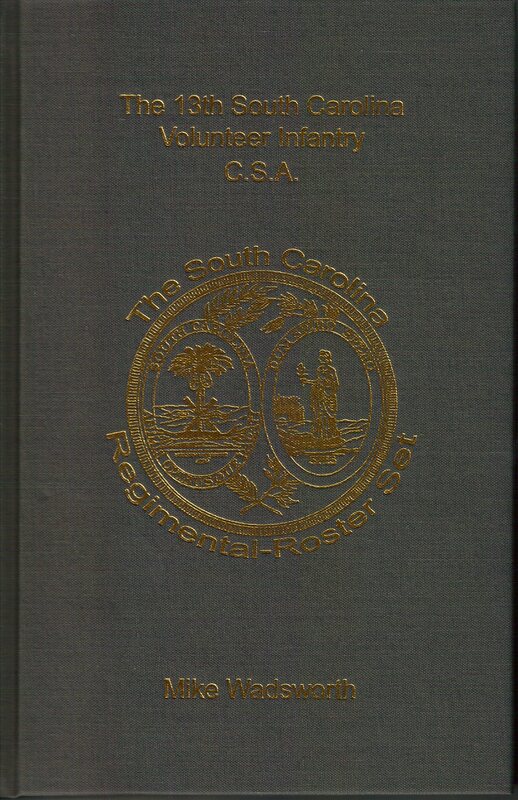 13th SC: The 13th South Carolina Volunteer Infantry C.S.A. Title: The 13th South Carolina Volunteer Infantry C.S.A. BTC’s Take: Mike Wadsworth’s book The 13th South Carolina Volunteer Infantry C.S.A. provides readers with a serviceable regimental history, but the larger source of value in this book lies in the detailed roster of the regiment. Researchers, especially those interested specifically in the 13th South Carolina, will find this book to be of great value. Those with ancestors in the regiment will also find the book useful. General students of the Civil War with no particular interest in the 13th South Carolina and those looking for a definitive regimental history may want to wait for a more detailed account or refer back to Caldwell’s history of the brigade.